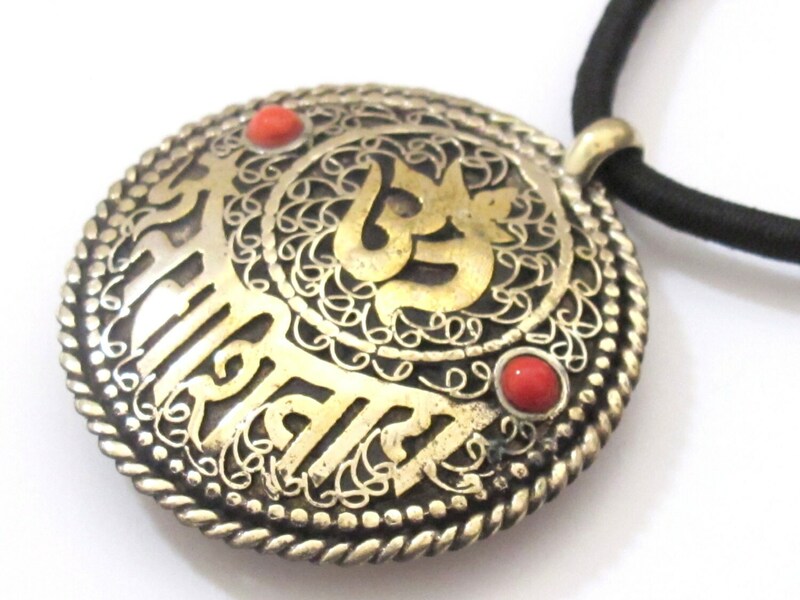 This is a beautiful reversible brass pendant with filigree work on both sides of the pendant. 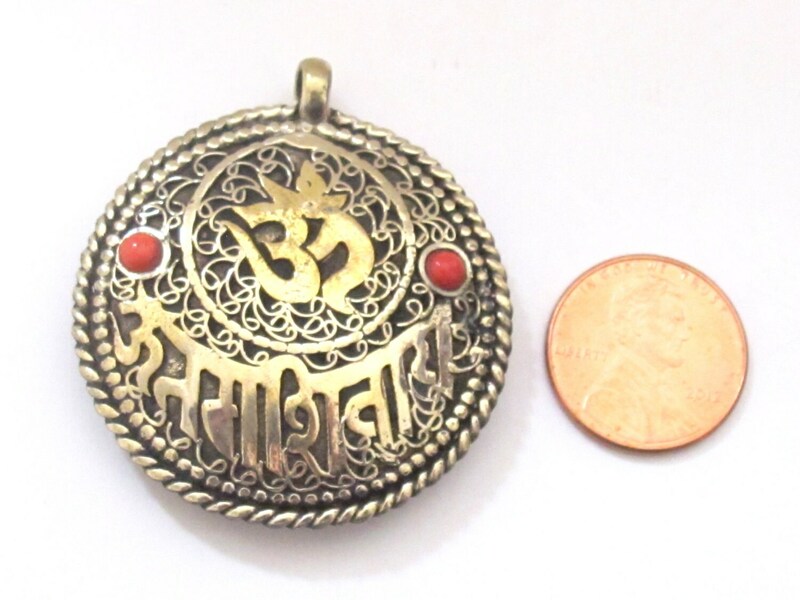 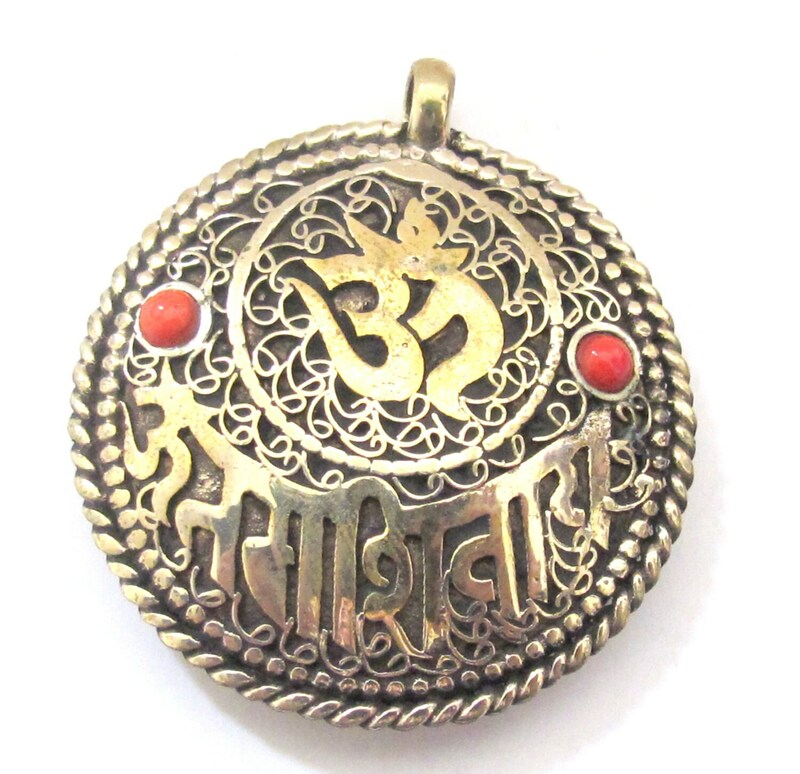 One side of pendant is inscribed with Sanskrit OM and Shiva mantra - om namah shivaya and the reverse side with Ganesha mantra - Shree Ganeshaya namah. 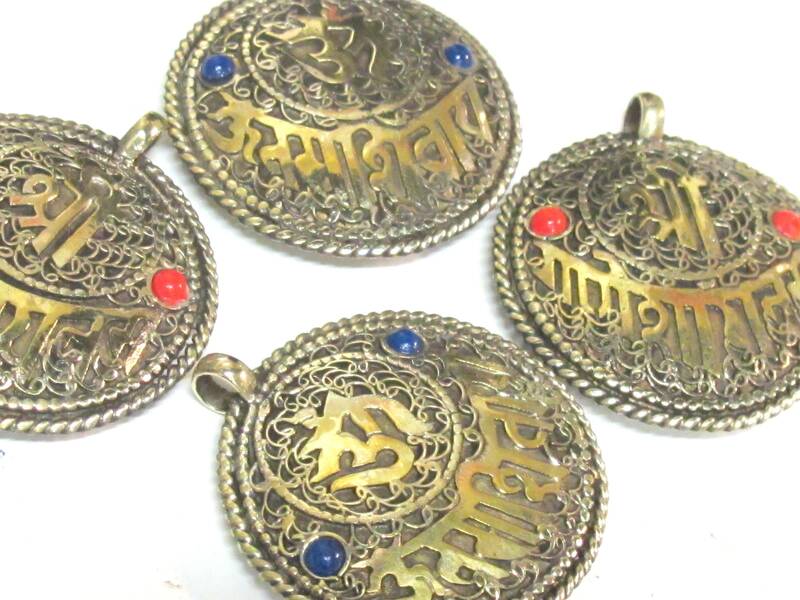 Since these are handmade there may be slight variation between each piece. 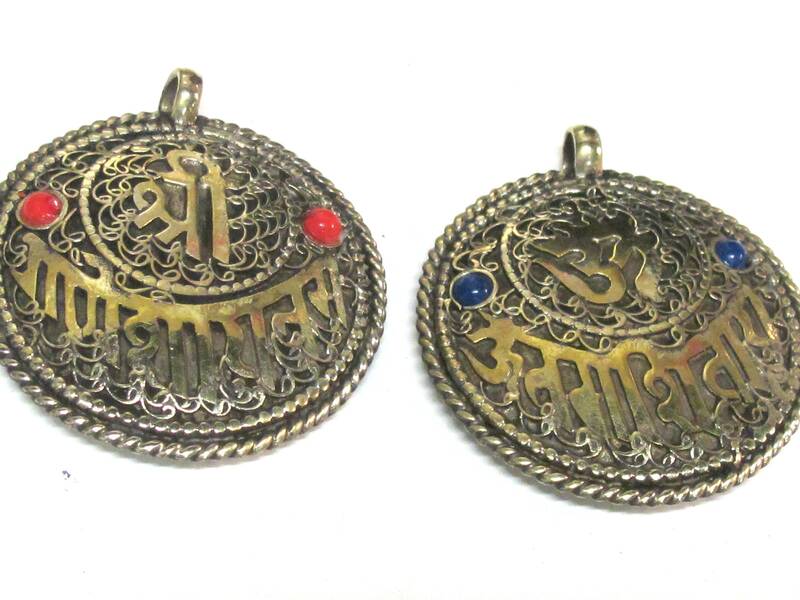 Please note that Red blue color dot inlay position may be on different sides of pendant . 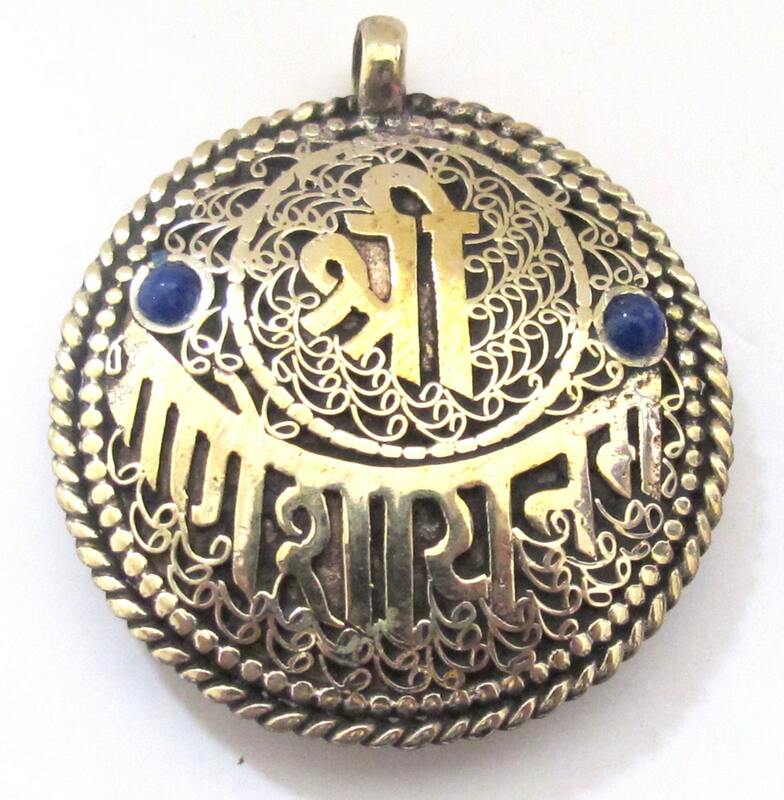 Please see images.